It was the mid-nineties when I visited the USA for the first time. I have vague memories of the trip, of meeting relatives who I normally saw for only a few weeks once every three years, and spending nearly two months with them, in their houses. I remember my joy at finding a TV channel that showed cartoons all day long. A house with an upper floor. A perpetual supply of fizzy soft-drinks in the fridge. A backyard lawn with seemingly endless place to run around and play. For a kid living in a one-bedroom house in Mumbai without cable TV, it felt like the promised land. In many ways, I suppose it was. But the mind, even of a young boy, is a pretty unpredictable thing. Three weeks in, I was homesick. For my tiny house, for my TV with only two channels and the little kitchen garden about the size of a billiard-table where my cousins and I played stump-cricket, always fearful of our ball going over the wall and falling into the open drain just behind the compound. I don’t know why. At the time, I mistook the feeling for patriotism. In hindsight, it was probably more about missing the routine, maybe even apprehension about the school year to come, or even just my lungs unable to deal with the unpolluted air of the Philadelphia suburbs. It never occurred to me then to think too deeply about how my counterparts—my cousins—felt about their lives in the US and their trips to Mumbai. They are Indian, desi, as the lingo among Indian-Americans goes, but they are born there, native citizens of the United States, who have grown up learning about George Washington and Abraham Lincoln, reading Wilder and Melville, playing baseball and ‘Football’, hosting Wrestlemania and Superbowl parties. What it meant to them to have the odd names among their peers, of being pulled into doing ‘Indian’ things and forced to try and connect to that heritage while their peers would surely have been in a different, quite culturally removed mind-space. It occurred, even less, to me to think about their parents, my Aunt and Uncle, transplanted from their lives in India, the one in pursuit of his ambitions, the other following her husband, leaving behind a college degree and a bank job. It never occurred to me to think of how they might have lived, might have adjusted, what it meant to him, to her. By the time I was back from that vacation, though, India was on the cusp of what would become a cultural revolution. 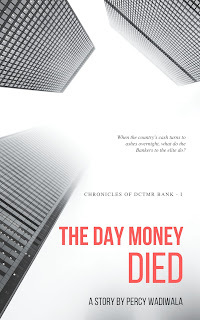 Sure, economic liberalisation had already happened, but that was only really having an effect now, and one of the ways it manifested itself through the blossoming of the ‘NRI Film’. Bollywood had discovered that Indians living outside India, their numbers growing in tandem with the IT industry, were a lucrative market for their films, but also that Indians in India saw that life in some ways as an aspired-for ideal, and in other ways wanted to assert India’s cultural supremacy. So Bollywood showed a vision of NRI life that was trite and unbelievable, a transposition of Bollywood clichés to the foreign milieu, and even with my limited understanding and even more limited intelligence, I could sense that these films did not even caricature their subjects properly, let alone compose an accurate picture. But while switching through channels on a bored Sunday afternoon in the late 2000’s, I chanced upon Mira Nair’s The Namesake, and though it was about half-over, I ended up sticking at it through to the end. It was different. As a movie, not particularly engaging, perhaps, and offering only glimpses of what I now realise is the strength of the underlying text. But it had me intrigued enough for the film’s name—appropriately—to stick in my mind. Unfortunate, then, that it took me until now to read Jhumpa Lahiri’s The Namesake. The Namesake is the story of Ashoke Ganguli, who survives a train accident with massive fatalities, clutching a book of the collected short stories of Nikolai Gogol in his hand. The fluttering of a page from the book is the reason to search-and-rescue team finds him, and with this gift of life, Ashoke takes himself to study at Massachusetts. The Namesake is the story of Ashima Ganguli, a self-effacing Bengali woman who marries a man she has never met or spoken to before and makes a new life in a new country, searching for happiness and belonging in a strange, indifferent environment. The Namesake is the story of Gogol ‘Nikhil’ Ganguli, their son; named for the writer his father admires and credits for his rescue (though there’s more to it than that). His struggles with his ethnic and cultural identity, his life and loves. The book begins, nominally, with Ashima being rushed to the hospital for Gogol’s birth. Flashbacks bring us up to speed with who they are, where they come from, the messy, congested roads of Calcutta quickly becoming as familiar to us as the wide-spaced streets of Cambridge, Mass. A letter lost in the mail leads to the burden of naming the child falling to Ashoke, and he picks ‘Gogol’, figuring that the ‘real’ name can be given later. But as time passes, the boy becomes more and more accustomed to Gogol and though they try to change it to Nikhil (after all, Nikolai was the first name of the legendary Russian writer) when he enters school, their son is having none of that, answering only to the name he knows. While the events and tone of the book remain largely light-hearted so far, we already see Lahiri’s expertise in bringing out the daily dissonance of the life of an Indian family abroad. Ashima’s longing for home, the dread she feels when there is a phone call from India, the little things like shopping, cooking, entertaining, finding people to talk to, inevitably other Bengalis in this case. As Gogol grows, however, and immerses himself more with his peers and their culture, the name becomes a millstone around his neck. More than its uniqueness, it symbolizes a difference, a sundering from both India and the US, which weighs heavily on his mind. Through the rest of the book, we remain mostly with Gogol, who takes on a new name, and charts his own career and life path, searching for an elusive sense of belonging. We see him fall in love, once, and twice, and then once more, we see his difficult relationship with his parents, his embarrassment at their way of talking and being. We see him seek comfort in the women he loves and their families, especially Maxine, whose wealth and sophistication draws him farther away from his family for a time, until tragedy brings him back. Gogol’s search for identity receives jolts from betrayals and death, and though his attempts to distance himself from his Bengali heritage might make him unsympathetic…we understand. But even more we understand Ashima and Ashoke, their uncertain peace with life in the foreign country, their building of a Bengali community in this distant land, an ‘adopted family’ for their children, and their resigned acceptance of their children’s drift away from them and their culture. 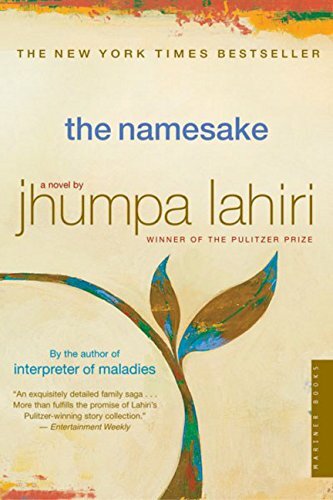 Over the sweep of the three decades or so that the book covers, Lahiri succeeds in making the reader see and experience America as her characters do, as indeed the thousands of immigrants who have travelled there, and their children after them have. For that is one of the many things that succeeds spectacularly in The Namesake—the way so many of the experiences of Ashoke, Ashima and Gogol are universal. In telling the tale of these three (though there are other characters too), Jhumpa Lahiri brings forth a powerful, often stunning intensity and insight. Her gaze into their lives is sharp and focussed, drawing contrasts from the lives of the parents to the son with a deftness that speaks of her impressive skill. The writing itself is detached, even clinical. A characteristic of modern Literary Fiction writing, perhaps, is that the narrator’s voice must be subdued to the point of being little more than a camera, and Lahiri follows this trope faithfully. Yet this verbal camera focusses on the actions and lives of her characters with a clarity that is perhaps more powerful for being so impersonal. Imagery, from the houses that the character live in or visit, the intricate details of their possessions, is used to illustrate feelings and situations rather than being told through narrative flourish. Distance and travel become important motifs as well, with trains recurring through the novel—it’s in a train-wreck that Ashoke Ganguli nearly loses his life and takes the life-changing decision to immigrate, that Ashima Ganguli finds and then abandons the gifts she had bought for her father, in a train that Gogol Ganguli meets his first love and loses, in a way, his wife. It could perhaps be said, in criticism, that too many of the major events in the character’s lives seem to happen off the page, being related rather than told in real-time. Yet even this feels consistent; after all The Namesake is about reaction rather than action; circumstances bearing upon the Ganguli families and how they are shaped by them. Ashoke’s accident, Ashima’s marriage, Gogol’s unusual name—all come together to make a story that perhaps most of us would not consider worth telling, the ordinary experiences of ordinary people in an ordinary milieu. What Jhumpa Lahiri does, is to take this very ordinariness and infuse it with her keen observation, attention to detail and that glaring intensity that I spoke of earlier, making a book without a ‘big reveal’ or a huge sweep, geographical or historical, not only readable, but something that remains with a reader for long after. This is not plot-driven, action-oriented writing. This is not cheap sentimentality. This is Jhumpa Lahiri painting a portrait of what it is to be an Indian outside India, and if the colours are grey and the subject unlovely, it is no less a work of art. That boy who visited the US in the mid-nineties and stood atop one of the buildings of the World Trade Center would come to visit the country again, years after the towers fell, and after the action of The Namesake (the film’s events conclude just before the dawn of the new millennium). The older me found the Indian diaspora to be often ridiculous, sometimes shallow and weirdly conflicted. If I were to write about them, I knew, it would be with the brutal wit of Nikolai Gogol, watered down only by my lack of genius. But that would be, I think, unnecessarily cruel. 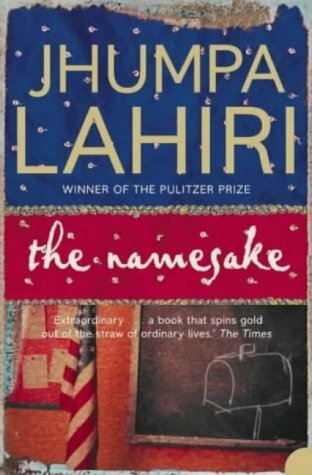 As The Namesake illustrates, and Jhumpa Lahiri so eloquently brings out, the key is understanding the experience of these Indians abroad. Knowing why there was a black-and-white TV set at the foot of the bed in my aunt’s room. How she must have felt bringing her children to Mumbai for the first time, then the second and the twelfth, with the number of relatives coming to receive her always dwindling, the ties to home growing ever-more-tenuous. How she must have dreaded a phone call from home, those horrible, horrible seconds before the voice at the other end said, “No, everyone is fine, I just wanted to talk to you”, her cold despair when the voice at the other end did not start with those words. I wonder, right now, what it must mean to my cousins to live in that world, prisoners of their skin; to come to our world, prisoners of their accents. The Namesake is, in the end, a validation. Of the bright-eyed hopefuls who left India in the sincere belief that they would make a better life abroad, of the spouses who followed on little more than a wing and a prayer, and their children, bound to two cultures by fraying gossamer threads. A chronicle of the bravery of their ordinariness, their victories and failures, their loves and lives. All that, and more, peeks out from beneath Lahiri’s Overcoat, and for that, we must all remain thankful. I just wanted to make a quick comment to say GREAT blog!….. I’ll be checking in on a regularly now….Keep up the good work. i like travel in bhutan tour. This is an awesome, insightful review of the Indian diaspora in the US and one of my fave books. I loved the movie equally because of Tabu and Irrfan's superb performances and Nira Nair's comments and memories of her parent's in America. I can quote endlessly from your review. The unpitying truth, and the pity in it for the immigrants, almost made me cry. I do think things are a bit different for the many second generation or long settled Indian immigrants out there now. Bravo! Great review.